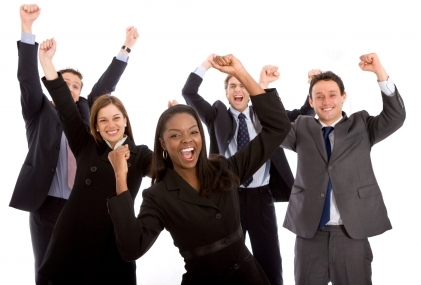 Want strong, productive, happy employees? These 8 tactics can help you get that and give you a business that’s more successful than you thought possible. A Pepperdine University study, “The Impact of Empowered Employees on Corporate Value,” reveals companies that truly empower their workers experience better financial results than companies that lack employee empowerment. As the study concludes, empowering employees with the ability to learn and improve faster than competitors results in the only true sustainable advantage. Let people do their jobs without interfering—micromanaging people stifles them and makes them less likely to give their best. In this video, Eddie Kreinik, CEO of MagicInk Interactive, talks about how he went from micromanaging to letting his employees “shape the business.” The result was not only happier workers but greater success for his company than he would have achieved had he continued to micromanage. Employees crave a sense of autonomy, a feeling that they can direct their own lives. In this RSA Animate, “Drive: The Surprising Truth of What Motivates Us,” author Dan Pink reveals that autonomy is at the top of the list of what motivates people. Want strong, productive, happy employees? Hire the best, give them clear goals and broad parameters, and allow them discretion and latitude on how they do the work. They might surprise you with their ingenuity. Not sharing information is the most disempowering thing you can do. A study by George Mason University showed that, apart from interesting work and appreciation for work well done, a feeling of being “in on things” tops the list of what many employees want. Sharing information ensures that everyone on the team understands the critical issues and essential tasks required for success. Don’t wait for the monthly meeting to let people know what’s happening. Make use of social networking tools, for example, to share just-in-time information. And don’t be stingy with what you share. In The Leadership Challenge: How to Make Extraordinary Things Happen in Organizations, authors Jim Kouzes and Barry Posner provide a set of questions you can use to gauge if you’re keeping people informed. For example, can everyone in your company answer the five questions below? If they can’t, they’ll be at a disadvantage in knowing how their performance affects other parts of the business. Quality circles are an empowering alternative to keeping employees boxed within the narrow confines of their compartmentalized functions. Choose a group of talented employees who are skilled at problem solving, and give them a work-related challenge you’re trying to solve. Let them analyze the situation and present solutions. The more they do this, the stronger they become. Give people more authority within their functional areas, such as eliminating some approval steps to deal with day-to-day issues, or assigning additional responsibilities usually reserved for managers. Think about rotating jobs to allow employees to become cross functional. Take some inspiration from the Hackman and Oldham model in structuring how people do the work. One of the precepts of this model is to help people “own” what they do by paying attention to what’s known as “task identity.” This means allowing a person to complete something they’re working on, from start to finish, so they can claim responsibility for the final output. Everyone wants to sign their own work. Another way of looking at this is getting people invested in their jobs. An example of an entrepreneur who does this well is Angela Jia Kim, founder of Savor Spa. In this video, Kim says, “Employee management comes down to one thing: Ownership. How much are you invested in this?” As a a self-starter, Kim wanted things done in her own style, until she learned to let her staff have a hand in creating treatments for clients. Treat people as owners, not hired hands—the results are good for employees, customers and the business. Don’t restrict your employees from using their own social tools at work. A recent Microsoft study shows that 39 percent of employees feel there isn’t enough collaboration in their workplaces, and 40 percent believe social tools help foster better teamwork. Some are even willing to spend their own money to buy social tools. You might also consider allowing a few personal Facebook breaks. A study shown in the infographic “The Case for Facebook” by Keas, a corporate wellness company, reveals that a few Facebook breaks can energize employees and make them more productive. Working in a stifling environment snuffs the life out of enthusiasm and initiative. Eventually, your best brains will walk out the door to seek fresh air elsewhere. One of the simplest ways to empower people is to treat them like adults. This means eliminating any stupid rules and cumbersome procedures and policies that slow people down and prevent them from doing their most productive work. It means allowing people some flexibility in setting their own schedules, if it doesn’t interfere with the accomplishment of goals. It also means designing flexible vacation policies, or allowing some telecommuting. Worried that loosening the reins might result in chaos? The antidote to this is hiring the right people, people you trust, and then trust that they’ll do the right thing. If you don’t trust them, they don’t belong on your team in the first place. It doesn’t matter how many empowerment initiatives you introduce—if people are stressed, their focus will be more on minimizing their stress by paying attention to what keeps them safe than on what makes your company grow. A highly politicized environment, favoritism, rampant gossip, negativity, big egos and unfairness can all drain mental energy.